LAWRENCE, Mass. 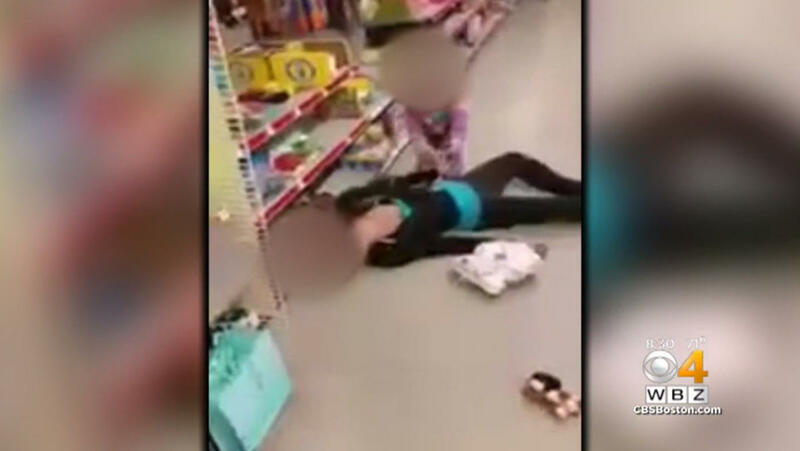 -- Disturbing video showing a toddler trying to revive her unconscious mother after an apparent opiate overdose in a Massachusetts store has gone viral on social media. Police haven’t released the name of the 36-year-old mother, who is facing child endangerment charges, reports CBS Boston. The video was captured by a shopper at a Lawrence Family Dollar store Sunday and obtained by police. It shows the 2-year-old girl crying and pulling at her mother’s arm as the woman lies on the floor. A clerk called 911 and paramedics arrived a short time later. They revived the woman with Narcan, which is used to reverse opiate overdoses. In a nearby diaper bag police found baggies and straws with residue from either fentanyl or heroin police say the woman likely inhaled, the station reports. The girl was taken into the custody of child welfare services. The family is from Salem, New Hampshire, reports CBS Boston. Lawrence police say the incident shows the dark impact of drug addiction. “It’s very, very disturbing … to see addiction overtake someone to the point where they’re not able to take care of their child,” Chief James Fitzpatrick told the station. The incident comes just a week after police in Ohio released another disturbing image on social media that quickly went viral, showing a 4-year-old boy in the backseat of a car with two adults apparently unconscious from an overdose.